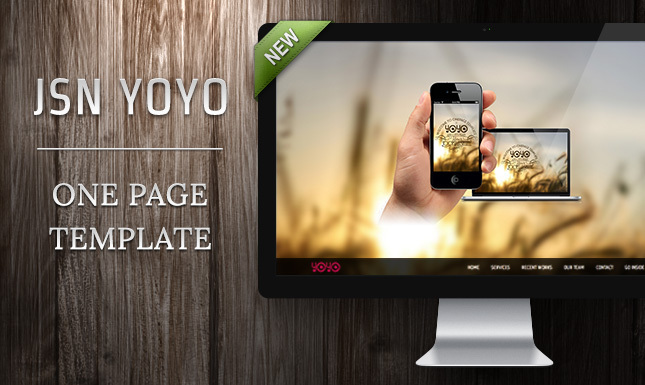 JSN Yoyo – Our first one-page template - has just been released, finally. With a simple and flawless design, it will make your portfolio stand out. With all content fitting into one page, it will take your visitors to the corresponding sections they want without effort. Just click and go, to get a delightful experience with JSN Yoyo! Don’t worry if you don’t want to make your website just one-page. JSN Yoyo lets you choose a traditional multi-page layout as well. Please try JSN Yoyo and share your comments with us. All opinions will be listened to and analyzed carefully. What’s new in JSN UniForm version 3.0.0?